In a continued frenzy of modding, I’ve completely redesigned Headcrash to be a lean, mean rig. It’s been stripped down of all extra hardware and now exists to serve up test web pages, dedicated game servers and act as a test server for other applications. 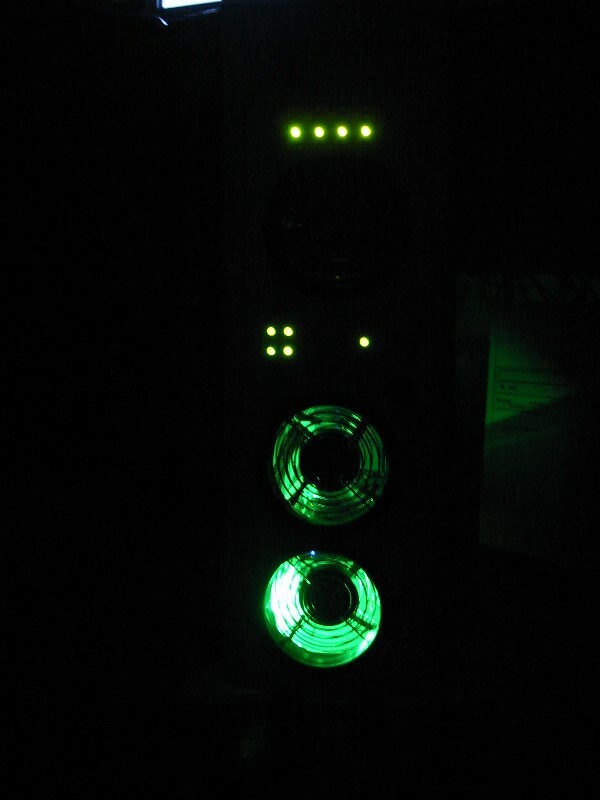 In the spirit of this new approach, I’ve also updated its look, updating it with some new-style modding gear like a CCFL, some quiet Panaflo L1As and Vantec Stealth fans and a dual voltage baybus, while preserving it’s old-school modded-HX08 look. 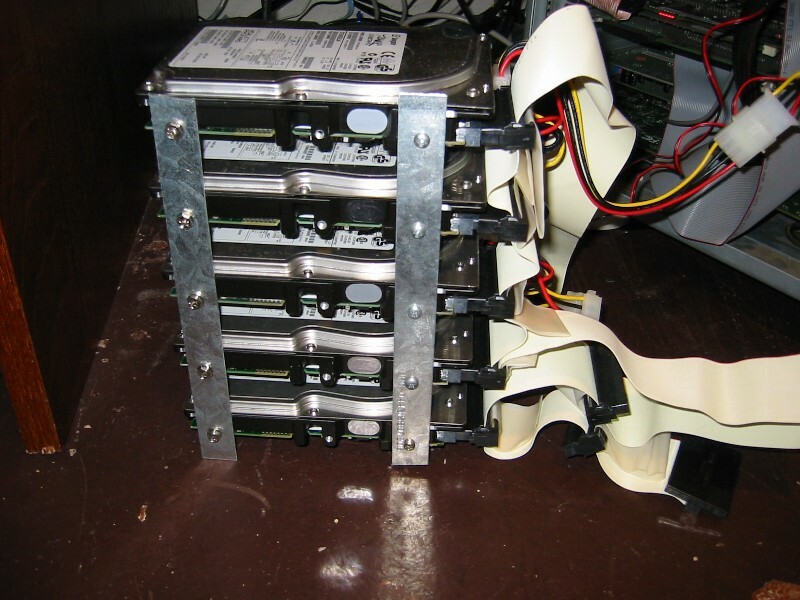 I ditched the 5-drive ghetto array of 4.6gb drives as they were slower than the U-160 array. 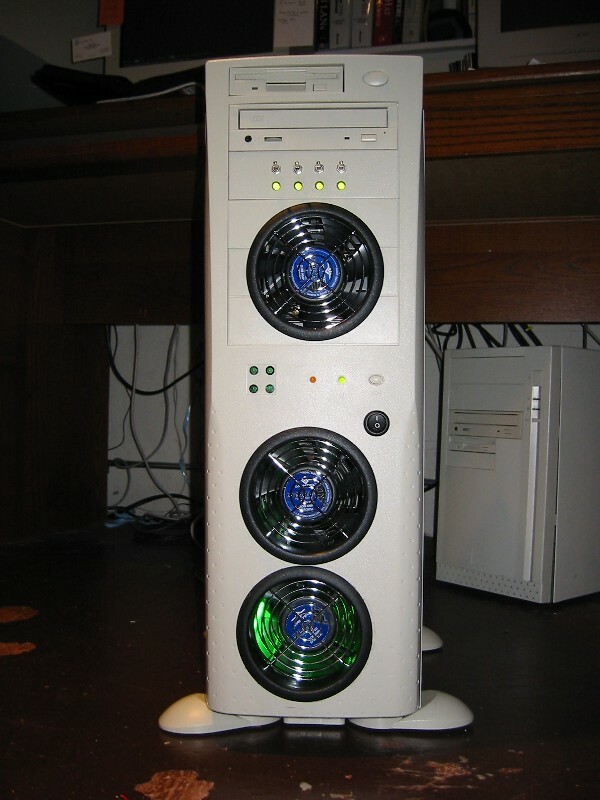 Since 5 10k rpm LVD-80 drives in RAID-0 are still faster than an ATA-100 drive, I’ll probably be sticking the Adaptec SCSI RAID 2100s card and the five drives into Plague to boost its loading times. I also wrapped some of the power cables to lessen their impact on the case. The old look: The bezel looks pretty plain and silly, doesn’t it. 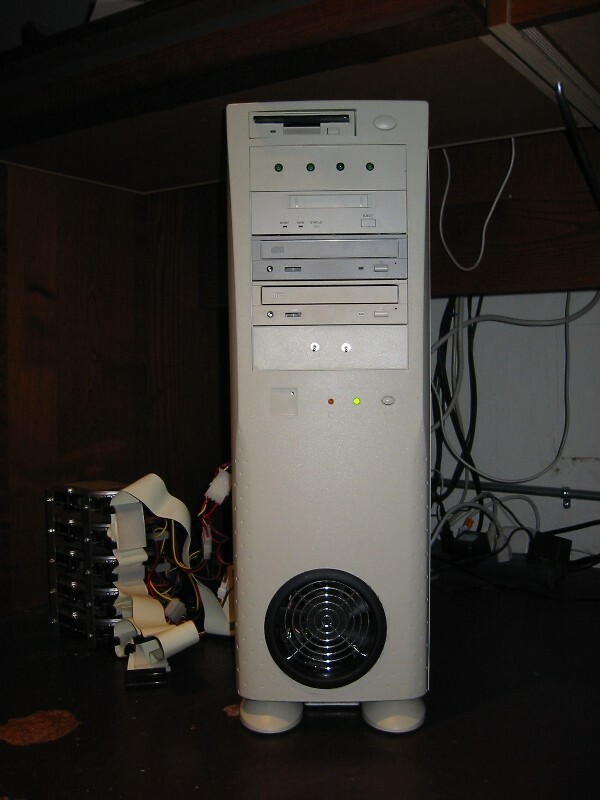 Mismatched CD-ROM drives and a huge expanse of beige bezel = boring. 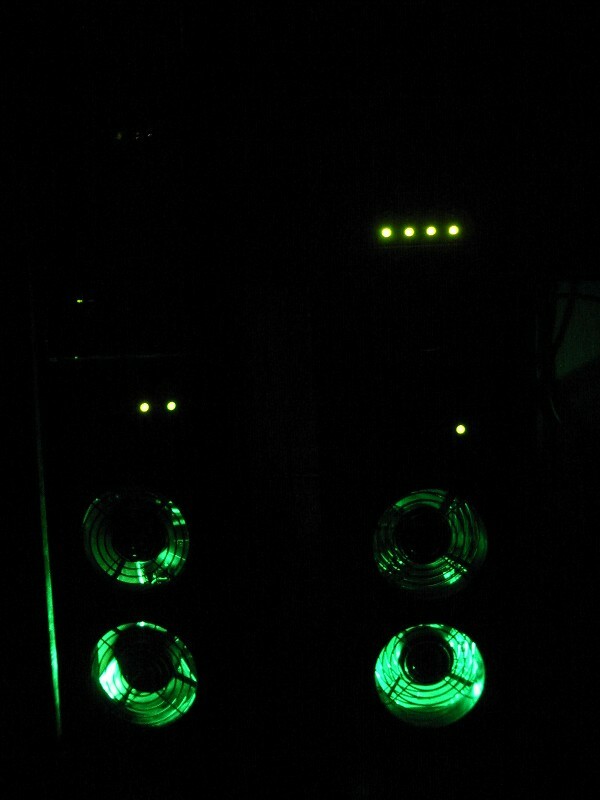 The new look: I added a second fan down low and installed a third fan into the 5-1/4″ face plates to cool the hard drives mounted in the bays up there. 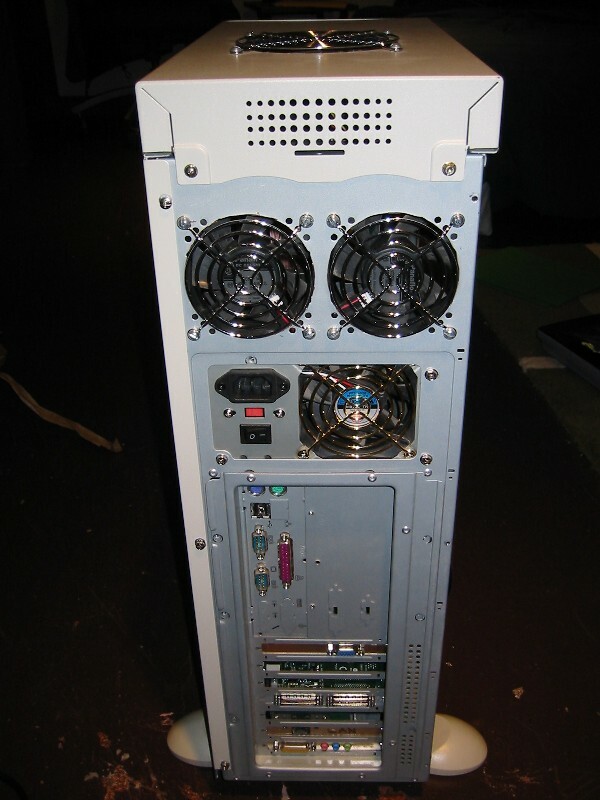 From the side: plainly visible are the four U-160 hard drives tucked nicely into the 5-1/4″ bays. 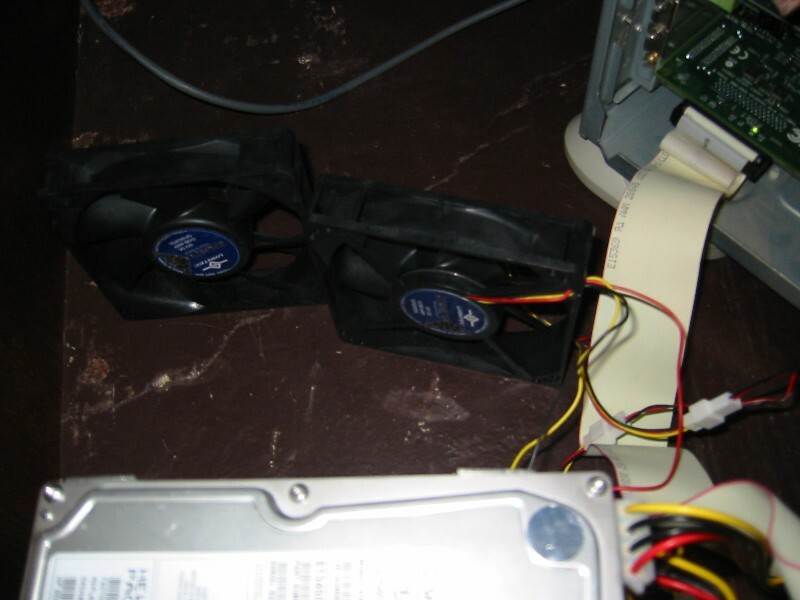 They’re up in their own area with a separate airflow over them. This way they don’t heat up the air as it flows towards the processors. Updated the campaign log with more updates. The battle is joined for control of the Ruins of Warsaw. Who will win? The Community of Sielce or the forces of the Black Baron? Here are some pics from the temporary drive array that I’ve set up on Headcrash. This is a temporary setup until I can complete the redesign of its case with some new mods. 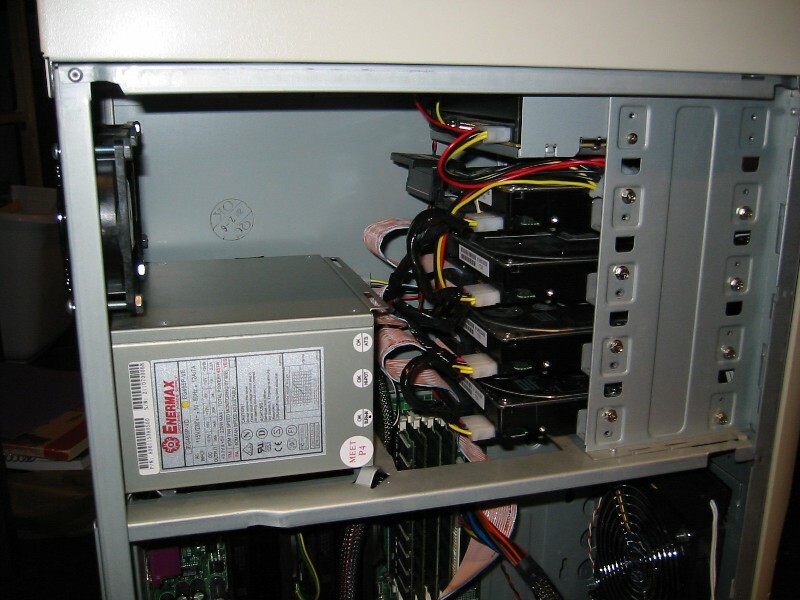 The array itself is four lumber straps purchased at Home Depot and 5 4gig Seagate 10k RPM SCSI-3UW drives. 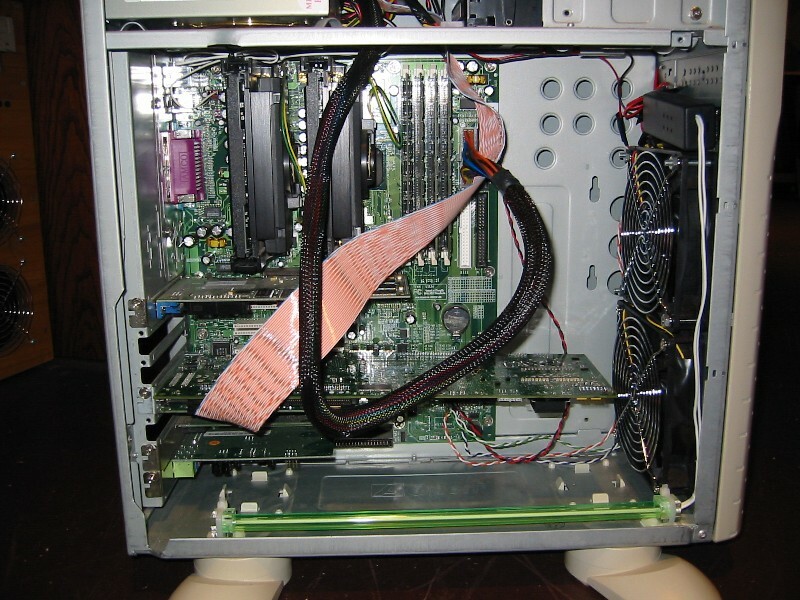 All cabled together with a ribbon cable from an old Compaq server and a few molex splitters spliced into the power supply.